Véronique and Aimé Guibert were working in the fields of ethnology and glove-making, respectively, in the 1970s, when they made the bold decision to venture into the world of winemaking. The couple, who had purchased a 300-year-old farmhouse owned by the Daumas family in a remote part of the Gassac Valley, were enjoying a visit from their geologist friend Henri Enjalbert when he informed them of the land’s unique terroir. The ice-age scree on which the house sat was apparently similar to the best soil in Burgundy’s Côte d’Or and therefore capable of producing grand cru-quality red wine. 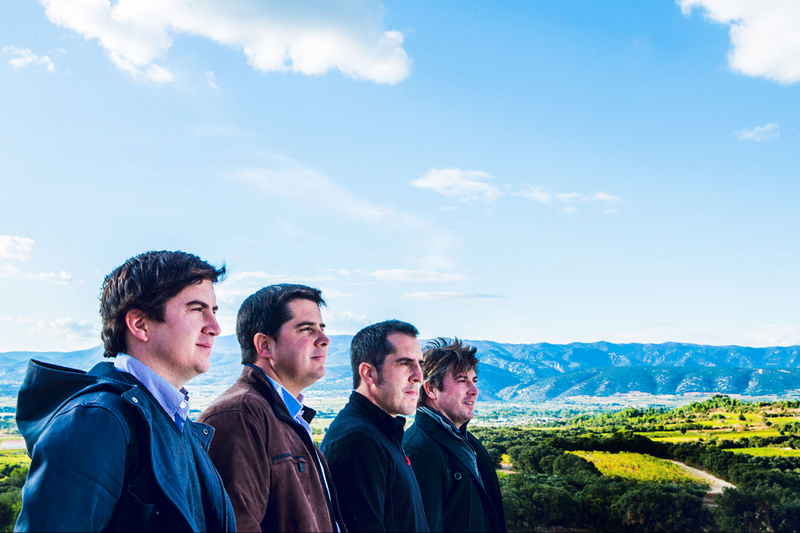 Today, the couple’s four sons – Basile, Samuel, Gaël and Roman – manage the winery. Their mother, who remains co-owner, is author of the cookbook Savours and Flavours of Mas Daumas Gassac. We asked Basile Guibert to teach us more about his wine heritage, the unusual pairings he has tried and which wines to keep a close eye on. Mas de Daumas Gassac is classified as Vin de Pays (country wine) because of the grape varieties. Can you tell us why? It means freedom and creativity. Being Vin de Pays mean we can go further (lower yields, for example) and beyond (planting and blending grape varieties such as Nebbiolo, Pinot Noir and Cabernet Sauvignon that are not accepted in Languedoc AOCs). You harvest your grapes in a warm region. How is that favourable to the wines? Our warmth is our blessing and our curse. Warmth means that the plants have excellent conditions in which to grow and produce fruits, and are less prone to disease due to bad and humid weather. On the other side, it means that the grape can mature faster and therefore be less complex and have less acidity. Mother Nature is offering us conditions and our task is to listen the best we can year after year. Could you tell us more about the bottles’ label design? It’s from a painting done by my parents’ friend in the ’70s. If you visit the estate and place yourself where the painter was, you can actually see the exact same landscape as on the label with the mas (traditional farmhouse) and, of course, the mountain at the back. Where can we find your wines? Is there a time to drink them, or should we, as with other wines, age them first? First, you have to find it. Not everyone has access to Mas de Daumas Gassac wines. Of the recent vintages, I had some 2015 in Kyoto in April, it was just amazing: fresh, delightful and even easy to drink with juice. What a vintage! Which Mas de Daumas Gassac wines should we be keeping a closer eye on? In the last two to three years I have started buying my own wines from the secondary market and putting them in the cellar for my children, and future important family times. Mas de Daumas Gassac old vintages from the ’80s and ’90s are phenomenal. After opening so many in Asia with famous sommeliers and highly experienced professionals, I have no shame saying they are among the greatest wines on earth. You’ve experienced wine with almost every kind of dish! Could you share your most unusual but delightful wine pairings? Mas de Daumas Gassac Rouge with sea urchin jelly and omelette. I experienced this in Osaka a few years ago at a winemaker dinner. It was unforgettable. Also, Moulin de Gassac Sauvignon Blanc with sea grapes (umi budo). I had this in Phuket when I asked a Thai sommelier to taste the wine and choose the pairings based on her restaurant menu. She originally asked us to have lunch at the European restaurant, but I had requested to try the Thai restaurant. Today, I am sure she, like me, is convinced we can do wine pairings for any cuisine of the world. Sometimes it’s hit and miss, but the key is to enjoy the wine. Lastly, Mas de Daumas Gassac Rosé Frizant with crème brûlée flavoured with lavender flowers directly harvested on the estate. Let’s talk favourites. Apart from your wines, what else should we paying more attention to? I’m part of this new generation that is looking for small-estate, crafted wines from unusual horizons. Therefore, I love traditional Greek and Italian wines: both countries have been making wine longer than France has, with such an immense varietal heritage. I would also love to see smaller-crafted Australian or Chilean producers. For Languedoc, I would suggest estates that are considered as the fine wines of the Languedoc but have less exposure in Asia such as Mas Jullien, Domaine d’Aupilhac, Clos Marie, Clos Maïa, Mas Haut Buis. They are all producing magical wines that even locally are hard to get. Are there any bottles we need to invest in now? Old Mas de Daumas Gassac red from the ’80s and ’90s. The estate has successfully been passed on from the first- to the second-generation owners. Under my brother’s direction in the past decade as a journalist and professional wine lover, it has opened so many opportunities for us and we’ve received amazing feedback on our wines. We have an increasing number of requests for allocations (including from Malaysia, Philippines, Peru, Lebanon) and a very limited production. Today, not everyone can access Mas de Daumas Gassac wines. This is the moment to collect our Grand Vins. Five years from now, they may be worth even more. The world is ending; which three bottles are you drinking? One, of course, would be the Mas de Daumas Gassac Rouge 1984 – I was born that year! A Fontaine-Gagnard white – any of their wines, from Village to Premier Cru appellation, they’re all amazing. I’d probably also be drinking an old vintage such as the Domaine d’Aupilhac, 100 percent carignan.